When you first arrive, our staff will ask you to fill out new patient registration form. This helps us to get to know you better. We ask that you arrive 15 minutes early to complete your registration. Or, you can start by filling out your patient forms now. 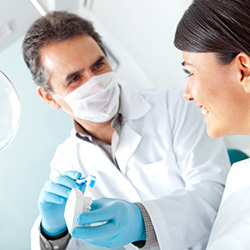 New patients often ask if they can have their teeth cleaned during their first visit. 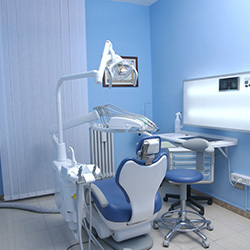 Your dental treatments usually begin with a follow-up visit, often scheduled as soon as the next day. We need to see you first for a comprehensive exam, x-ray’s and then schedule adequate time with your hygienist or any dental work that needed for you. 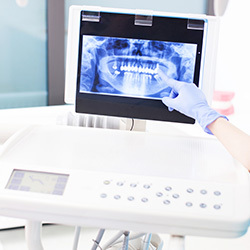 Depending on your dental history, your dentist will mostly recommend to take a series of digital X-ray’s to get a better look at your entire mouth. X-rays allow us to see things that normally can’t be seen, and it help us provide a comprehensive exam. X-rays may be required for people with denture . Our dentists can determine if you have adequate bone to support your dentures, and if you a candidate for dental implants, check for bone fractures, cysts, tumors, lesions, and sinus issues or any dental related pathology. We hope to see you in our office and we’ll make your visit as comfortable as possible. Thank you for choosing us.